How many Brits go skiing each winter? Who are they? Where do they ski? What is the real size of the British ski holiday market? LHM Marketing & Research conducted extended research to get an accurate picture of the UK ski holiday market. 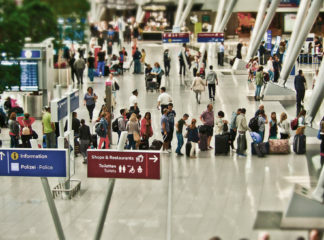 Two state-of-the-art consumer surveys were backed up by third party data (visitor numbers and airport surveys in different destination countries) and desktop research. Answering the question ‘How many Brits go skiing each year ?’, findings show that each winter 1.5 million UK residents go on at least one ski holiday. 29% of them will go on two or more ski holidays during the same winter season. As a consequence, the 1.5 million holidaymakers produce a total of 2.2 million ski holidays over the course of a full ski season. (these results were confirmed by data from third parties such as visitor numbers in ski countries, skier flow data from airports, nationwide airport surveys and nationwide ski resort surveys in some of the destination countries). Not all skiers have the opportunity to travel each and every year. 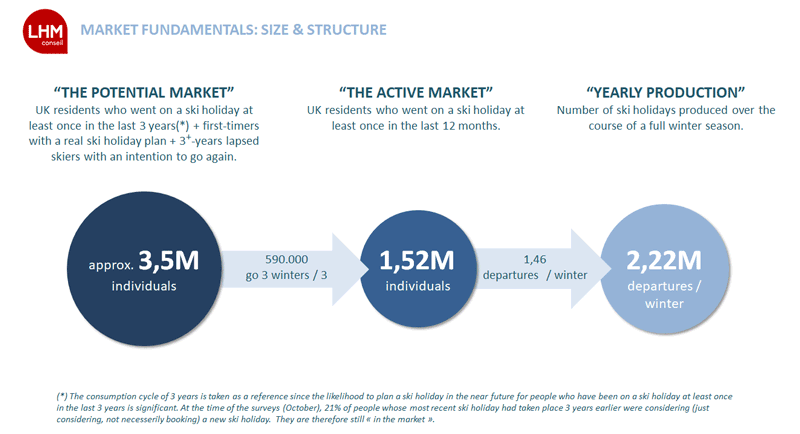 This leads to the observation that the UK ski holiday market is bigger than 1.5 million Britons. The survey shows 3.5 million UK residents are ‘in the market’: some of them ski every year, others will ski every second or third year. Attitudes and first reactions towards Brexit and the current as well as expected impact on their ski holidays. Feel free to enquire to receive more insights and data from the survey. 2 On-line surveys were conducted, one in October 2016 and the second one in October 2017. Each sample of approx. 1000 respondents consists of adults between 18 and 70 y.o., and is representative of UK residents who went on a ski holiday at least once in the last 3 years before the time of interview. The chosen sample size is very common for this kind of research.